Our Isaac Newton tutorial has been quite popular and so I’ve decided to add more historical themed outfits to the site. While Albert Einstein isn’t the first person you think of when it comes to fancy dress and Halloween that’s what makes it such a cool idea considering no-one else will be dressed the same as you. How many costume parties have you turned up to as Wonder Woman or Superman to find there are multiple people wearing what you are? Chances of this happening are pretty high. Albert Einstein is one of history’s great visionaries, someone who leaves a legacy long after their death. His outfit consists of beard and mustache, suit, tie and shirt all of which we’ll cover below. You can also take inspiration from his character in the Nightmare at the Museum series if you’re stuck for ideas. Einstein is the master of time publishing his career defining book ‘The Theory of Relativity’ and so he’s a mad scientist of sorts, and all mad scientists needs crazy looking hair of course. Either use your natural hair if it’s white already or a wig, with a wig you can go anywhere from completely white to grey. 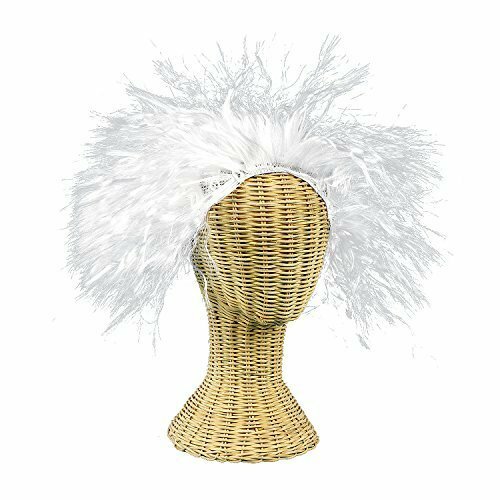 Most wigs for him are completely white though, there are also sets with mustache included which makes thing a little easier. 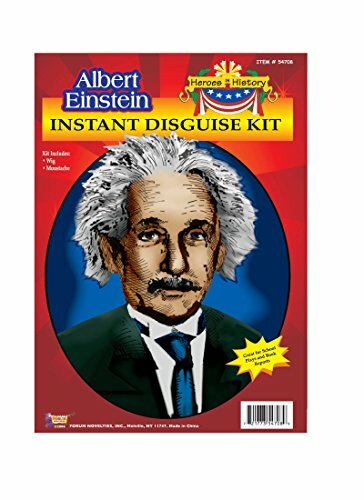 This disguise kit is great for Halloween costumes aswell as school projects for kids and can be worn by both boys and girls. It includes the wig and mustache so all you’ll need to add is clothing. Eventhough the above set includes all the facial hair needed for Albert you may want to pick up each item individually or are looking for a greyer mustache that represents him a little better. Don’t worry there are options for you too. 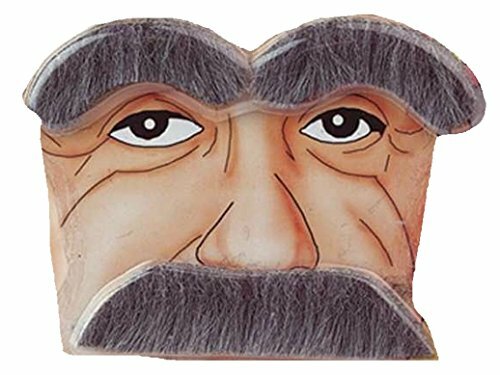 For a greyer tone to your hair this is the perfect set I found that includes both eyebrows and mustache, it may not be the most realistic but on Halloween it will definitely garner a few laughs. Once Halloween is done however this will still make a great joke/gag gift and can still be worn to fancy dress parties. The final part to his look is his clothes of course, thankfully these are pretty easy to come by. When you search for a costume for this scientist however you get results for lab coats which could work however strictly speaking he would only wear these in the lab. Day to day he is seen wearing a simple tan cardigan with a white shirt and red tie combination underneath. Chances are you already have something similar in your closet already if not the thrift store is always the best place to look locally. If you don’t mind wearing a lab coat however it’s still a good choice that can portray this historically scientist and just so you don’t come off looking like a generic mad scientist possibly wear the red tie underneath the coat or put a name-tag onto it with ‘Albert’ on so people know who you are. No one likes the dreaded “So who are you dressed as?” conversation at Halloween. Love Einstein and this is a good idea for a costume. Albert Einstein is one of my favorite people! Nice idea for a costume. 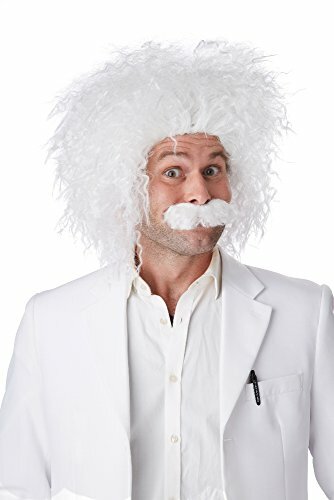 I never would have considered an Albert Einstein costume. Great idea, and easy to achieve.